The Rotonde de Cartier Astrotourbillon is a watch that was presented in 2010, with the in-house Calibre 9451 MC movement in which the tourbillon has an elongated carriage that enables the balance to rotate around the dial, once a minute. The balance bridge is in the form of an arrow and so becomes a seconds hand. 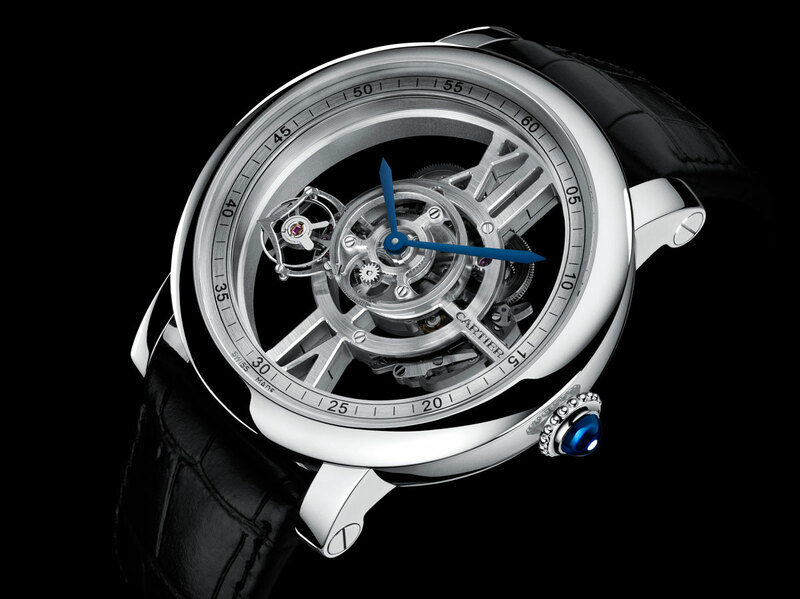 It is different from a normal tourbillon in which the two axes of rotation are close together and combined into a single unit, but the technical function of neutralizing the detrimental effect of gravity on the movement’s precision by constantly altering the position of the balance wheel axis remains the same. And it’s even more spectacular, with the constant rotation of the balance around the dial. It is conceptually similar to the Freak by Ulysse Nardin, but in this case, the balance becomes the minute hand and so rotates around the dial once an hour. Less theatrical. 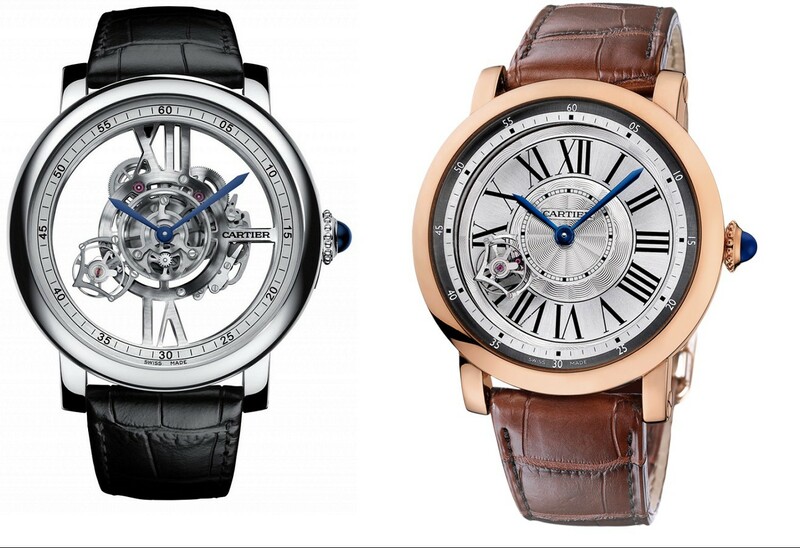 At SIHH 2015, Cartier will present the skeletonized version of the Rotonde de Cartier Astrotourbillon, a piece in which the movement is suspended from the giant XII and VI numerals, and displayed by the sapphire crystal glasses on front and back of the watch. The only other link between the movement and the case is the bar at 3 o’clock bearing the Cartier logo that conceals the pin from the crown. The movement, in this case Calibre 9461 MC, is in German silver, with titanium used for the circular bridges on the back of the movement. Along with the white gold of the case, the result is an intriguing composition of silvery colours. The Rotonde de Cartier Astrotourbillon Skeleton is a limited edition of 100 units in white gold, price about €120,000 plus tax. Another 20 pieces will be in platinum with diamonds on bezel and case, and another five with case and bracelet in platinum completely set with diamonds. 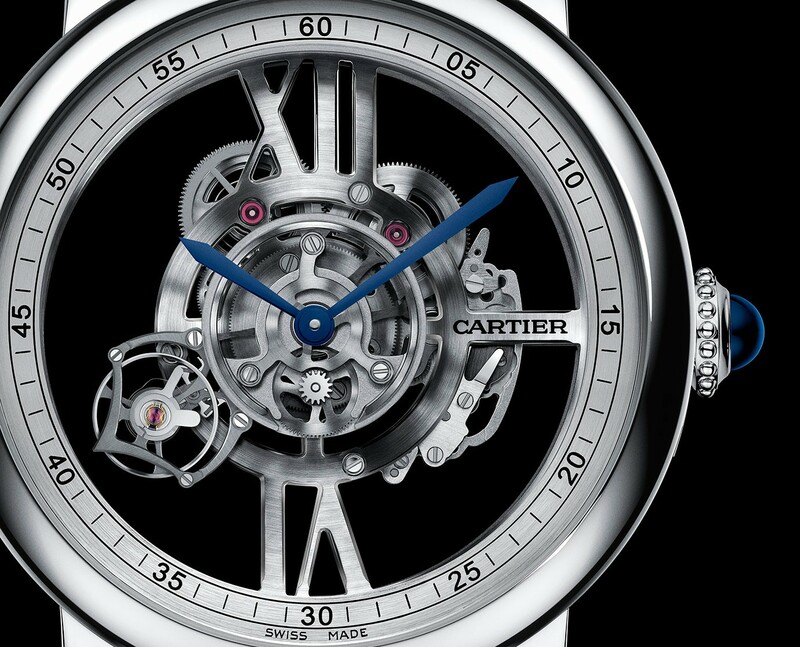 Click here to read about another Cartier SIHH preview, the Rotonde de Cartier Reversed Tourbillon. 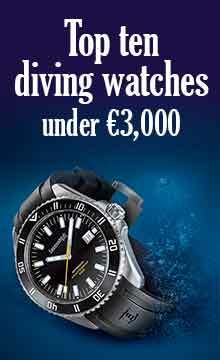 Click here to visit the Cartier website.